The uncanny ability of state-of-the-art video games to mimic human behaviour has inspired the development of a new tool to boost the quality of the electron beams used in high-tech research experiments in Australia and Italy. The new tool uses the same artificial intelligence methods that enable video game ‘agents’ to learn from their interactions with the human players who control them. This involves the use of artificial neural networks, whose structure evolves over time. The new method was developed by Swiss-French national Evelyne Meier as part of her PhD studies under the joint supervision of Sandra Biedron from FERMI@Elettra in Italy, Greg LeBlanc, head of accelerator science at the Australian Synchrotron, and Michael Morgan from the School of Physics at Monash University. It was reported in 2011 in a scientific journal called Nuclear Instruments and Methods in Physics Research A. 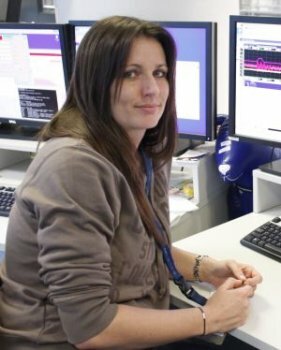 The Australian Synchrotron’s first official PhD student, Evelyne recently received her PhD and accepted a postdoc position with the synchrotron’s accelerator science team. Evelyne’s PhD work was part of a major international collaboration involving the Elettra synchrotron in Italy and the Linac Coherent Light Source at the SLAC National Accelerator Laboratory in the US. This collaboration focuses on the development of the next generation of synchrotron light sources, which will use free-electron laser (FEL) sources to produce synchrotron light of even greater brilliance than current (third-generation) sources like the Australian Synchrotron. During her studies, Evelyne produced or co-authored several international journal publications and conference presentations, including the ‘video games’ paper. Another paper reported the development of a promising new approach to stabilising electron beams that combines feedback control with neural network feed-forward techniques. The ultimate aim is a precise and robust control system that will stabilise electron beam energy and energy spread for the FERMI@Elettra free electron laser at the Elettra Sincrotrone Trieste.